Elastic stretch cords are made from elastic with metalized polypropylene coating. Metallic elastic stretch tie cords and braided tie cords are 1/16". Just wrap it around your package, tie a bow and you're finished! 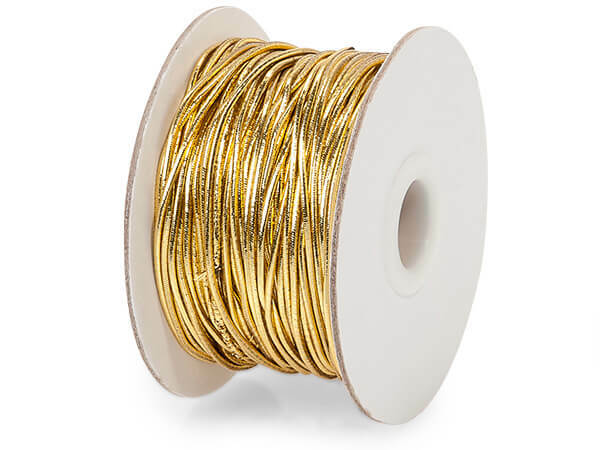 Metallic stretch tie cords are made from an elastic cord with a metalized polyproylene coating and stretch. Braided tie cords have a cord base covered with metalized polypropylene coating and do not stretch.